Hand made paper sculpture. 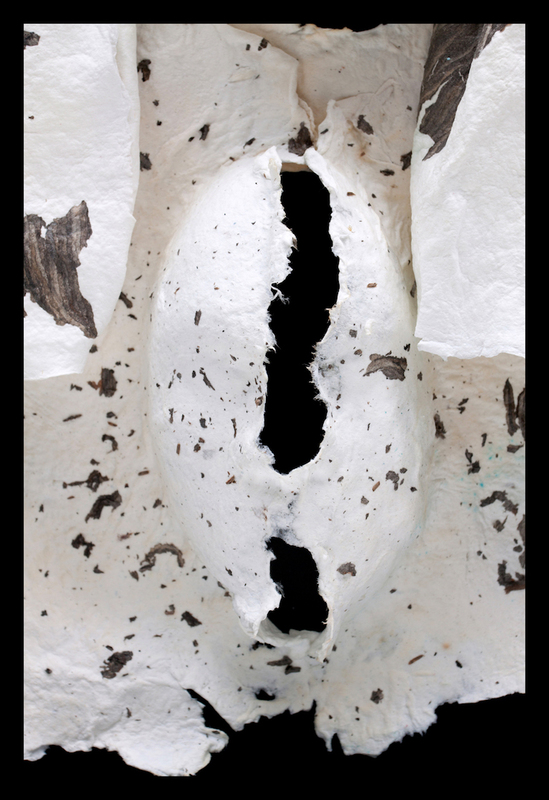 Artistmade Paper: 100% first cut cotton linter that was beaten and individually formed with my papermaker’s mold and deckle, embedded with a deconstructed wasp nest. Sheets of paper are individually hand pulled, formed and cast.